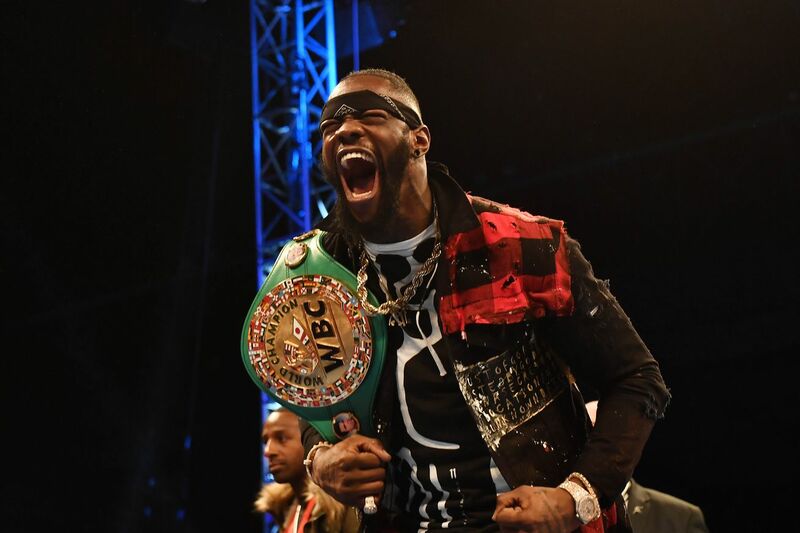 The co-manager of Deontay Wilder weighs in on what broke the potential deal with DAZN. Shelly Finkel, who along with Al Haymon advises Deontay Wilder, has drawn some fire because the WBC heavyweight champion turned down a hefty deal from DAZN. The OG advisor spoke to Sirius/XM’s Randy Gordon and Gerry Cooney and they asked him about that turn-down. “The amount of money that was offered by DAZN is a lot of money, but it’s not a lot of money if Anthony Joshua got double that. We asked it, we were never told,” Finkel said. One version of the Wilder-to-Dazn deal was for three fights worth $100 million. The first fight would have been Wilder-Breazeale for $20 million, the second fight would have been for $40 million to fight Anthony Joshua in the fall for the undisputed title, and the third would be a sequel with AJ, for another $40 mill. The other DAZN deal offered $20 million to fight Breazeale, $40 million for the Joshua fight, a $20 million fight against another opponent to TBD, and that would be followed by another $40 million for a rematch with Joshua in the fourth fight, said ESPN’s Dan Rafael. A DAZN source told me those figures weren’t errant. Finkel said how it’s played out, with Wilder fighting Domnic Breazeale on May 18 on Showtime, is better for the fans and better for Wilder “when” he knocks out Breazeale, because more people will see the act. What he can’t be sure of is this: as it plays out, will it be better for Wilder in the long run to turn down the guaranteed DAZN money and roll the dice on his near future? Fellow OG deal-maker Bob Arum is on record as agreeing with the Wilder play, but this makes sense from the POV which holds that he’d rather have Wilder available to do a rematch with his Tyson Fury, rather than being on the Eddie Hearn/John Skipper side of the street, where Wilder vs AJ would be the focal point. My three cents: Sad to say, there’s more action on the business side of the sport in the heavyweight division than there is in the ring.